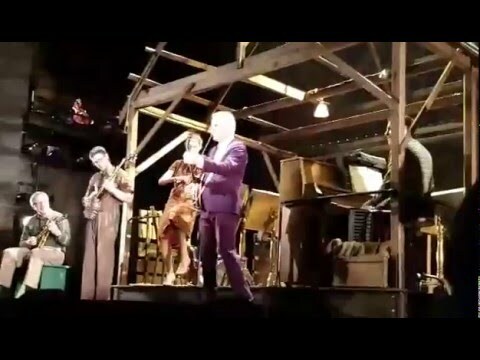 With Steve Martin at "Bright Star"
With Steve Martin in the Broadway Musical, "Bright Star"
Make your next event stand out by offering your guests or patrons music that is unique in character and style, performed by a musician at the top of his game! Critics and fans alike seem to appreciate Wayne's performances for their humor, warmth, and mercurial dazzle. His various ensembles are polished, never less than musically captivating and directly involve the audience in the thrill of musical discovery. From Bluegrass to Bach, Brazilian Choros to Celtic Fiddle Tunes, Jazz to Appalachian Dance Music ... If you want traditional acoustic music for your next event, look no further ... Wayne performs with a variety of duos, trios and bands in venues ranging from coffee houses to major concert and festival stages. Wayne can offer any of the ensembles that routinely performs with or he can custom configure an ensemble designed to fit within your budget and to offer the specific type of music you are looking for. Make your next event stand out by offering your guests or patrons music that is unique in character and style, performed by a musician at the top of his game! Critics and fans alike seem to appreciate Wayne's performances for their humor, warmth, and great all-around musicianship. His ensembles are polished, never less than musically captivating and directly involve the audience in the thrill of musical discovery. 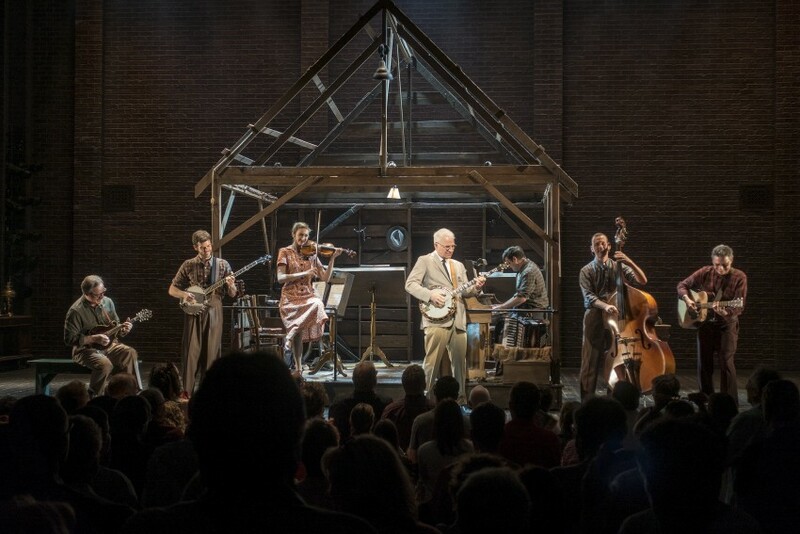 Wayne was heard (and seen) on Broadway playing mandolin and guitar on Steve Martin and Edie Brikell's five time Tony nominated musical "Bright Star" and is currently performing on the show's National Tour. 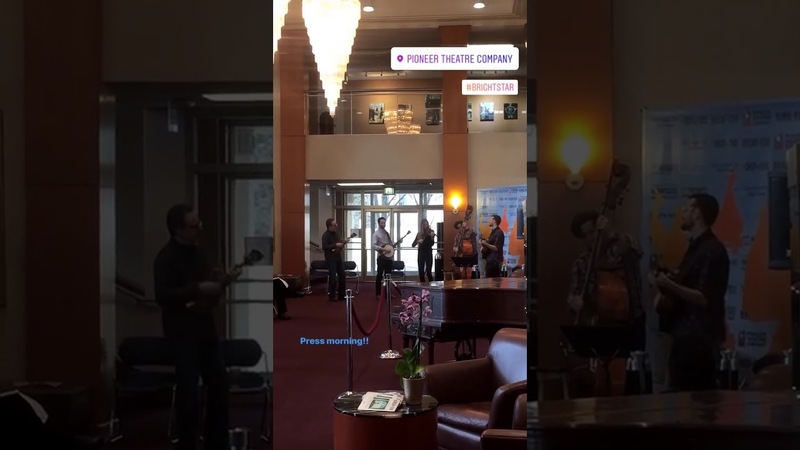 He has performed on two continents at noteworthy venues that include Carnegie Hall's Isaac Stern Auditorium and Weill Recital Hall, Symphony Space, The Great Hall at Edinburgh Castle, West Point, Sugar Loaf Performing Arts Center and The Levitt Pavilion for the Performing Arts. He can be heard on the soundtracks of Emmy nominated film "Home" and Louis B. Mayer award winning short film, "Respects". Other film credits include a performing appearance in "A Bread Factory", starring Tyne Daly, James Marsters and Janeane Garofalo. 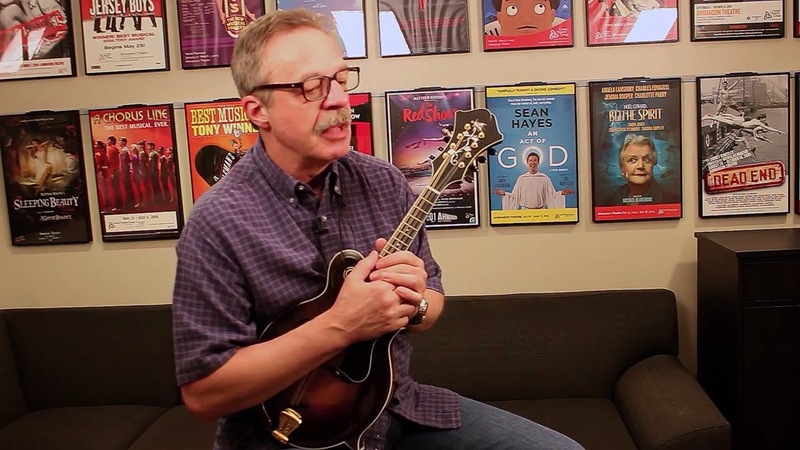 ​Wayne has studied (and performed) with two of the world's mandolin greats, Barry Mitterhoff and Mike Marshall. He continues his musical education with private instruction and has attended several continuing education programs at Boston's Berklee College of Music. He is active as a mandolin teacher, offering both private instruction and workshops at prominent festivals and music camps throughout the country. Wayne is the author of two (soon to be three) instructional and tune books for mandolin available through Alfred Publishing and Mel Bay. Wayne can provide his own professional sound system or work with your sound contractor to provide sound reinforcement appropriate to the venue and to the audience. A more detailed Tech Rider is available on request.